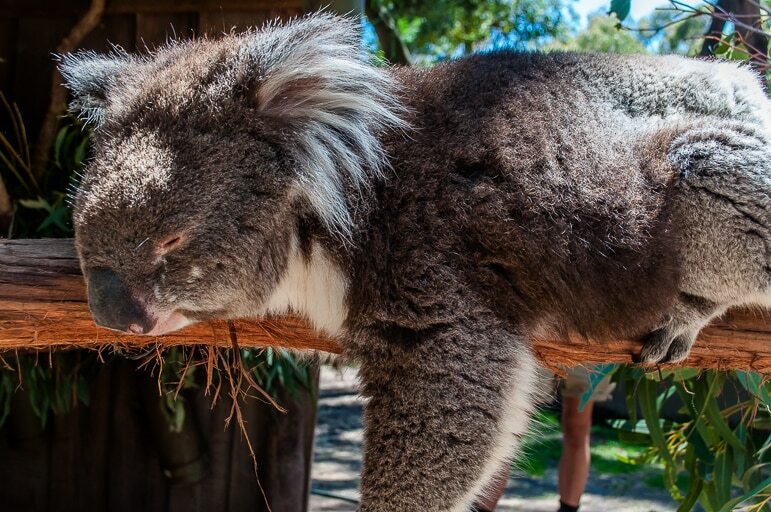 Native Australian animals in pictures: cuddly to "once extinct"
Before visiting Australia two years ago I’d written off its animals – had everything categorized as scary or poisonous (I’ve written before of course on how I was confronted with my fear of snakes in the botanical gardens of Victoria). Back then the idea of falling in love with native Australian animals would’ve been a wild, outrageous suggestion. But then I didn’t realise just how diverse, unique and devastatingly cute a lot of the country’s animals were. Yes, I knew of koalas of course, and kangaroos, but I hadn’t even reckoned on how lovely they would be when I got up close and personal with them. And then there were a whole host of other incredible marsupials and other species I hadn’t considered at all. 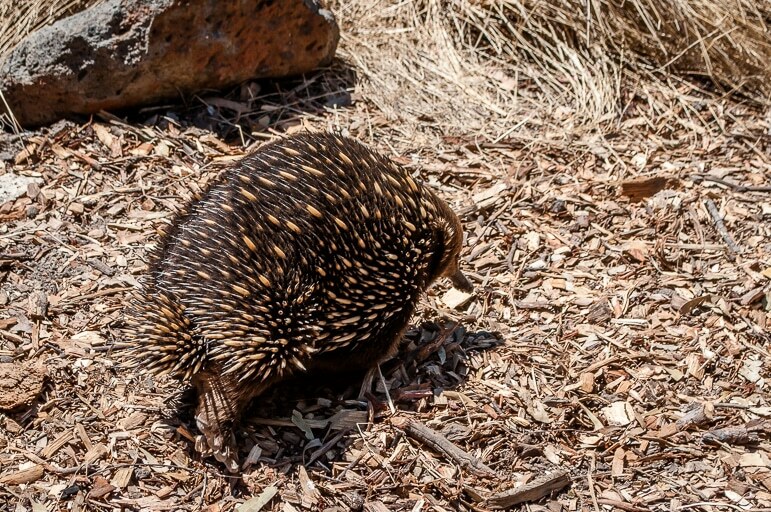 So in celebration of native Australian animals, and because I feel it’s about time we had a lot of cuteness around here, I bring you this collection of my favourite creatures from my recent Australia road trip around the state of Victoria. One of the great things I enjoyed about the road trip was spending time outside of Australia’s major cities. 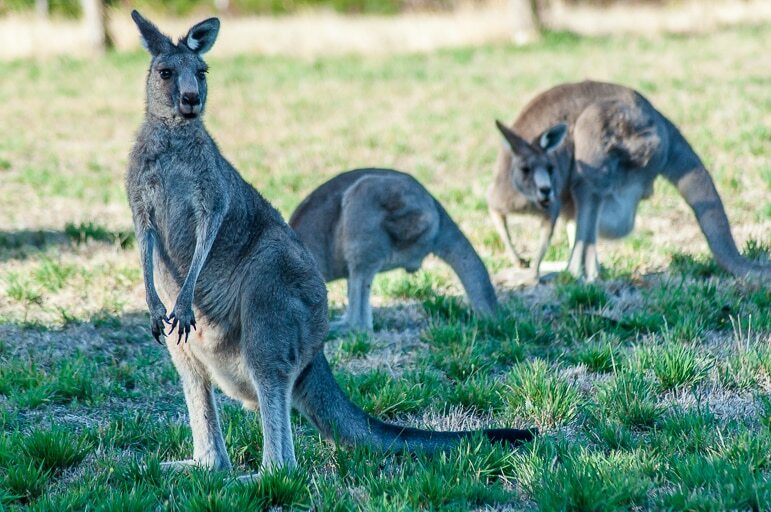 Regional Victoria, from Great Otway National Park to the Great Ocean Road, The Grampians and the small towns of its countryside, offers plenty of opportunities to immerse yourself in Australian culture. 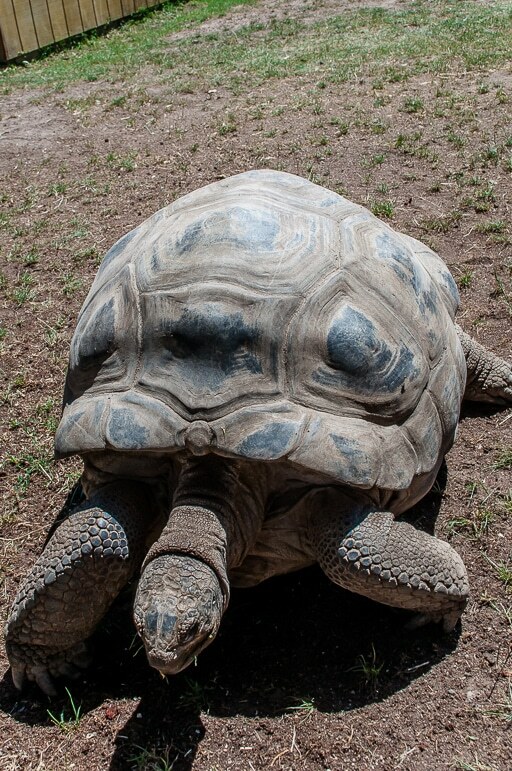 It also gave me an opportunity to get up close and personal with many of Australia’s animals. 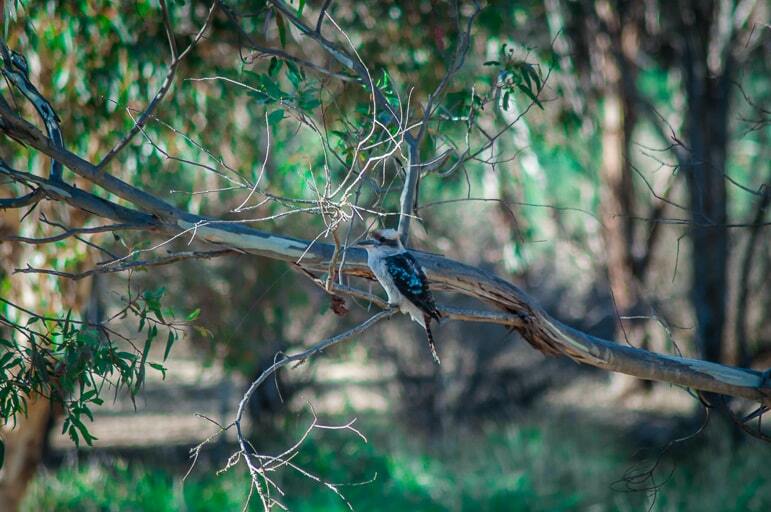 One of the wondrous things about Australia’s wildlife is that you don’t have to go to a zoo, or way out into the Outback to spot them. 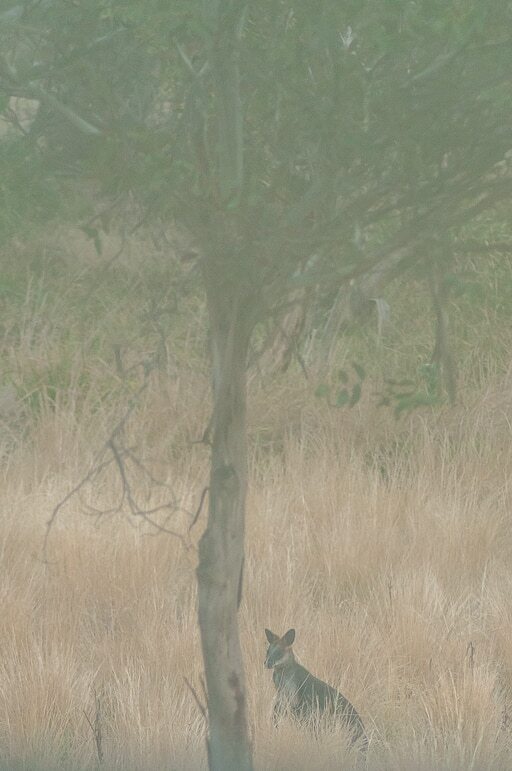 I even spotted a wallaby from my room at the Royal Mail Hotel, in The Grampians. 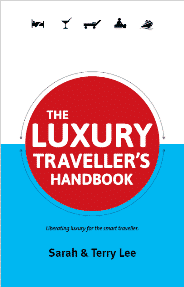 But our first natural encounter came as we arrived at Great Otway National Park. Cars huddled by the side of the road as a rapidly growing group gathered at the bottom of a eucalyptus tree. 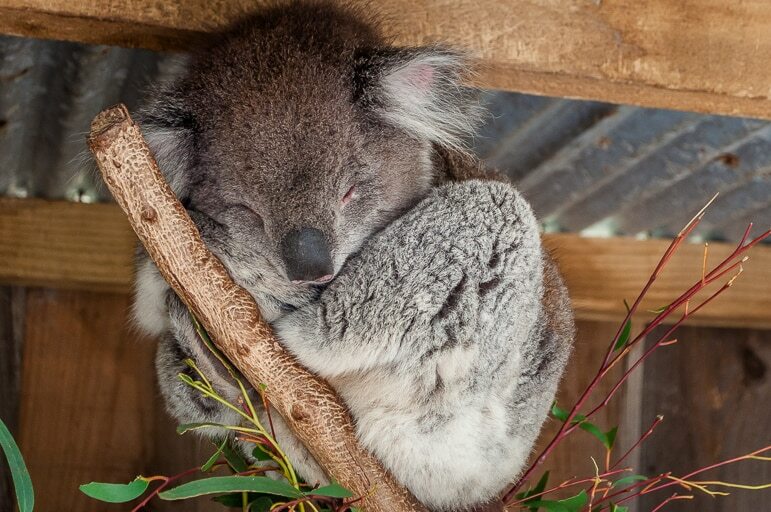 High up in the branches there was a bundle of fur – a koala snacking his way through the leaves on the tree. As ever though, at that height we could only see a rounded bottom among the branches. 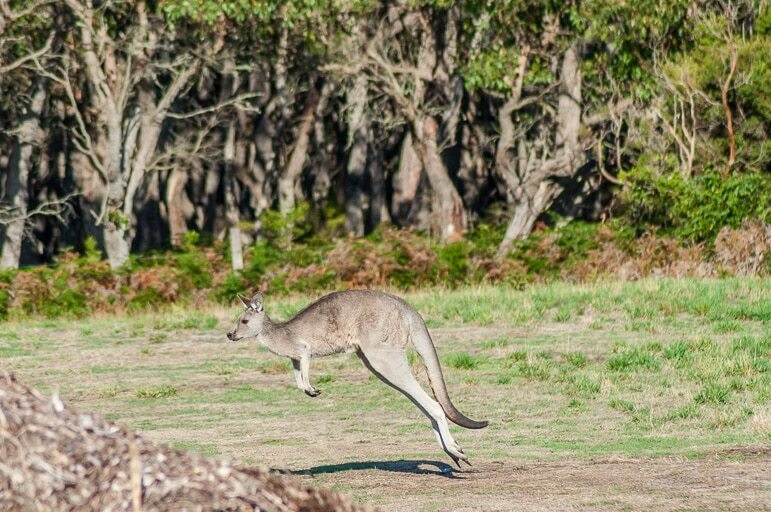 Heading further into the park, we arrived at Great Ocean Ecolodge, a perfect retreat for nature lovers where kangaroos bound over the landscape silhouetted by the late afternoon sun. 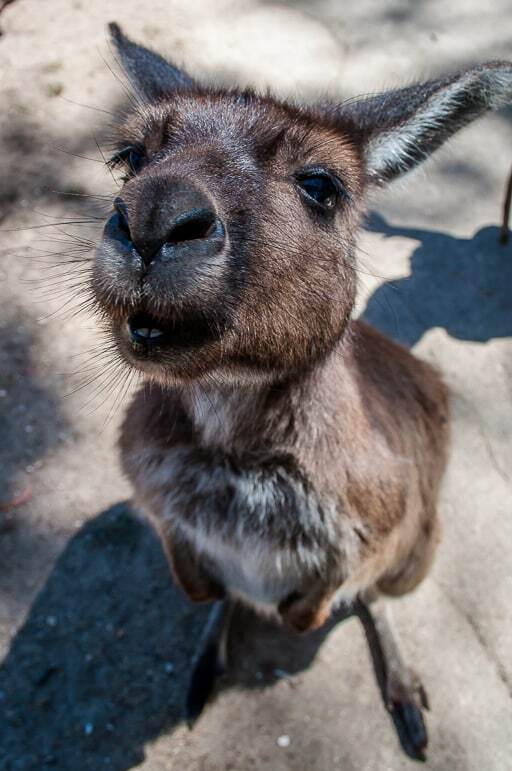 But the Ecolodge isn’t known simply for bringing roos closer to its guests, who are used to them coming up to the hotel for a bite or a little attention. 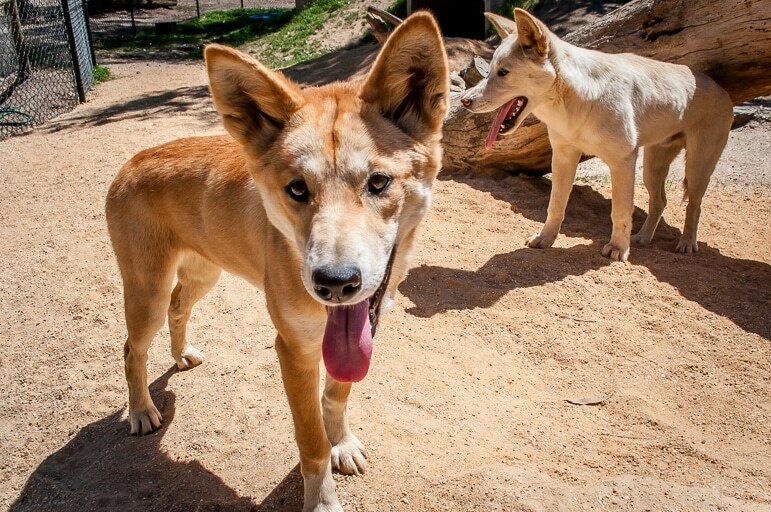 Shayne Neal of the Ecolodge told me of one native Australian animal they’ve helped bring back from the brink of extinction through a fantastic conservation project. 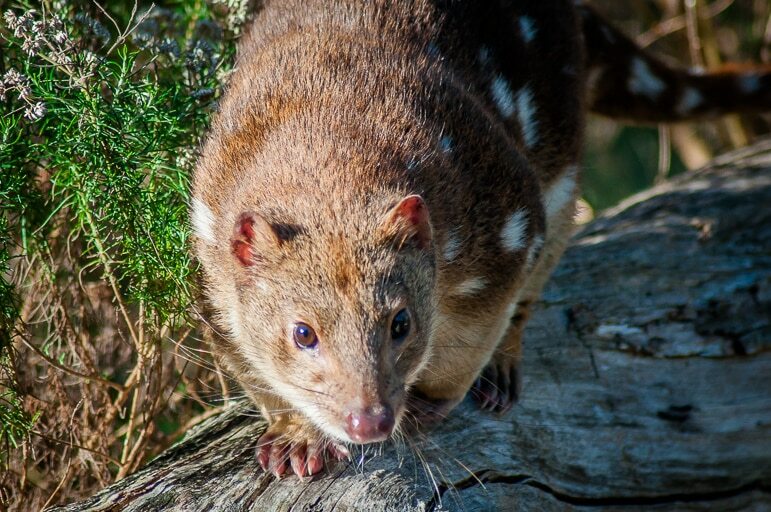 The tiger quoll is now one of the country’s most endangered species, but for 50 years it was thought to be extinct. Shayne explained: “The quolls are the apex predator in this part of the country but for many years they were thought to have died out. When they were discovered again locally in 2012 we set out to chart as many as possible and help rebuild their numbers. 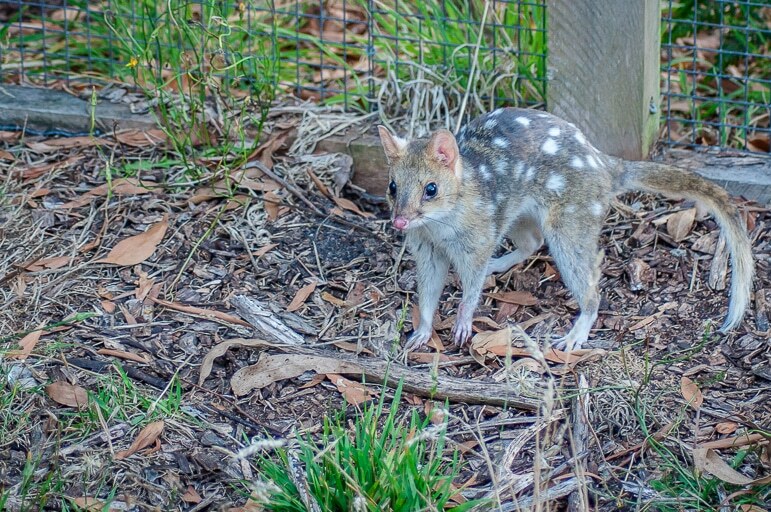 It’s an incredible conservation project, which even has a beer named after the quolls to the benefit of the conservation work. Leaving Great Otway National Park and the Great Ocean Road behind, we headed into Victoria’s interior through bush, farmlands and wound our way up to The Grampians National Park, before making our way down the other side to the town of Ballarat, famous as the site of Victoria’s 19th century gold rush. 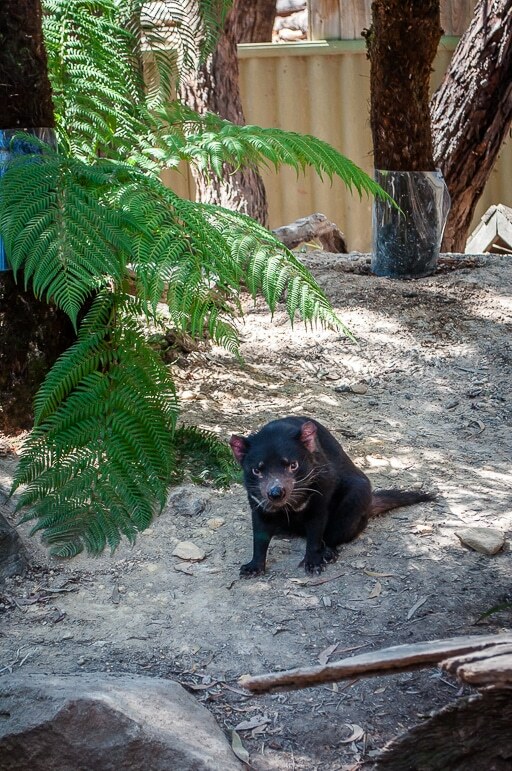 But first we stopped at Ballarat Wildlife Park to find other nuggets of gold in Australia’s indigenous wildlife. 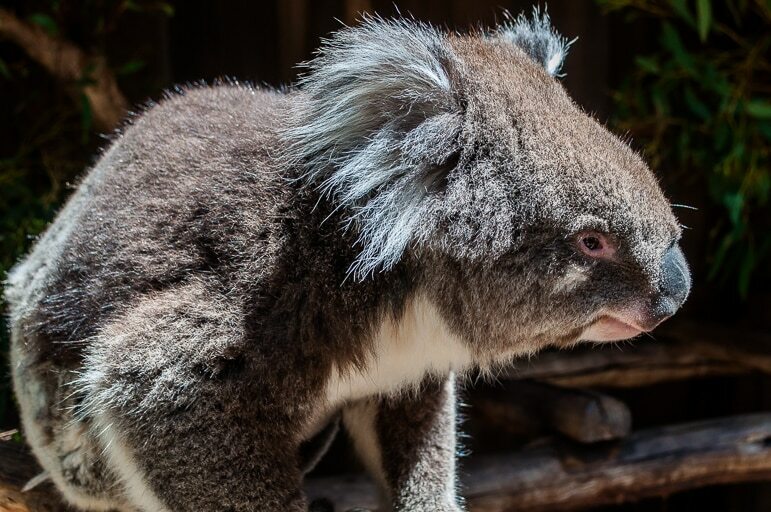 I’ve long liked the big balls of fluff of koalas but this time in Victoria I fell in love with them, desperately wishing that they could adapt to a eucalyptus-free life and the chill of England so I could take one home. 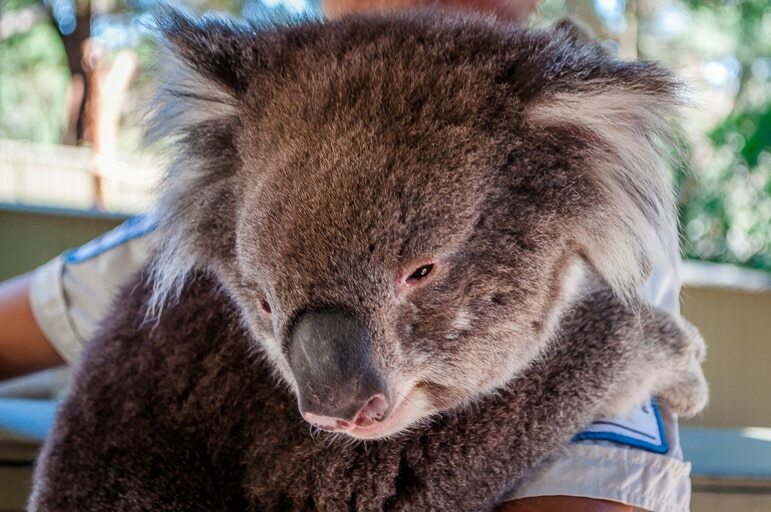 But I’m sure they’d make terrible pets and I’d be a bad koala carer – I don’t even own a goldfish! 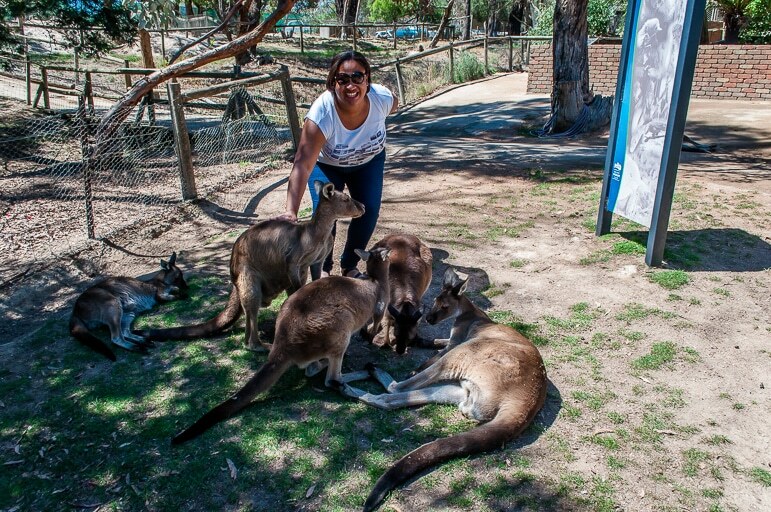 Next I found myself mobbed by roos – brown, friendly Kangaroo Island ones to be precise. 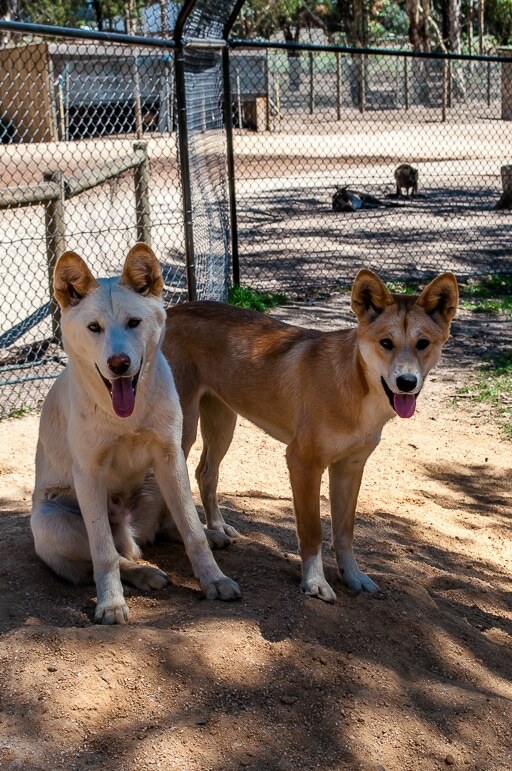 And what makes these beauties stand out is that as they hail from the island off the mainland of South Australia, they were never hunted and as a result are very calm around people. They love to be fed (of course) and there’s nothing sweeter than when one of them gently steadies your hand with its paws to make a plate. They also love to be stroked and are an absolute joy. 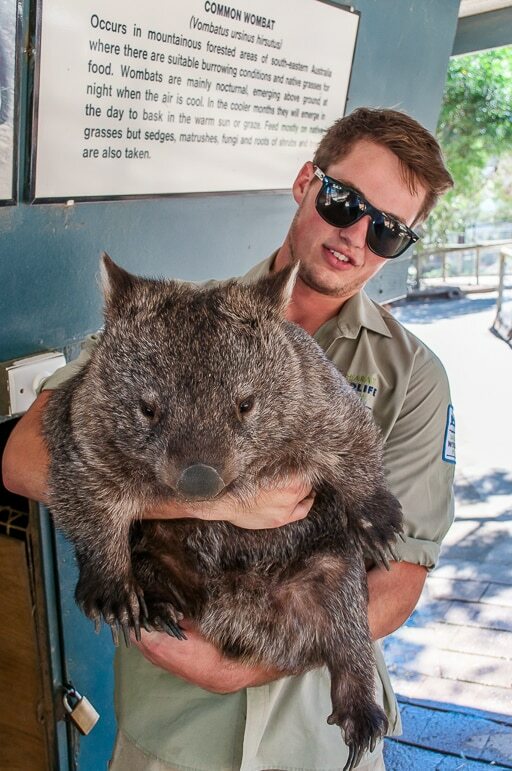 I also met something of a celebrity of Australian wildlife – Patrick the wombat, voted the number three animal ambassador in the world by CNN. Like many wombats though Patrick likes a good sleep and so he was still tucked up in bed when I paid a visit. 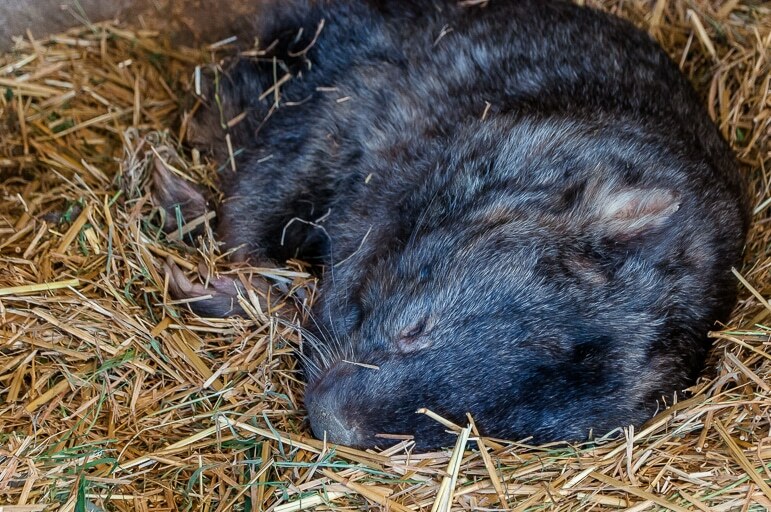 Luckily his friend Billie was around to ensure I had my first up close experience with a wombat and was able to stroke her light but wiry fur and marvel at her long claws – perfect for all that digging that they do. 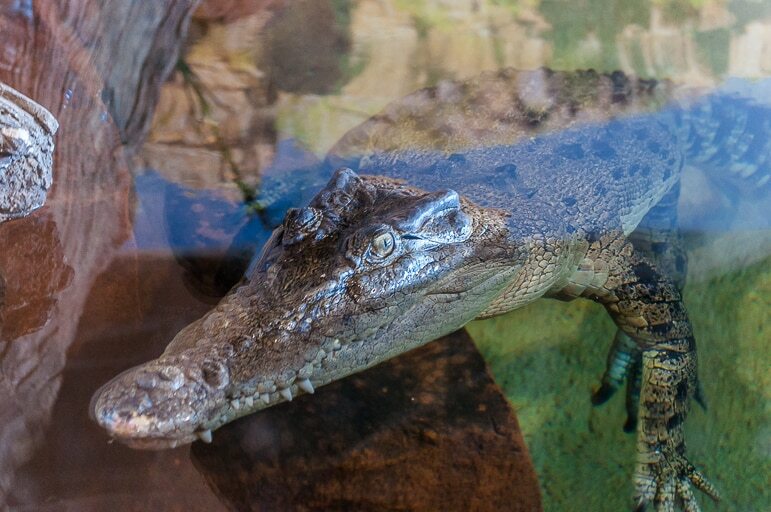 There were more animals too – from the cute and not so native, a bouncy young alpaca called Chaser, to the local but fearsome, saltwater crocodiles. 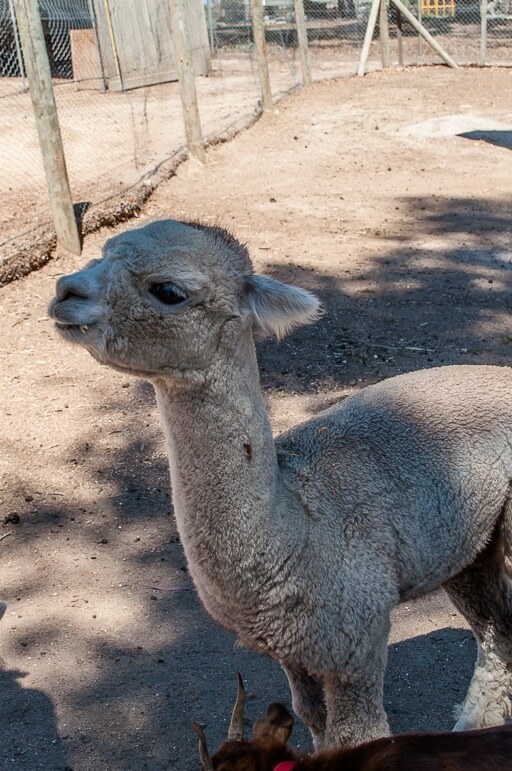 Ballarat Wildlife Park helped me cement my love for Australia’s wonderful wildlife. 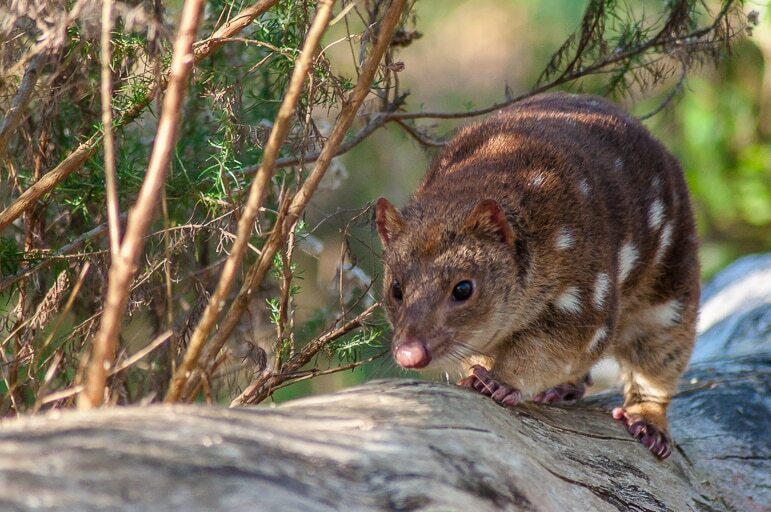 Wonderful post – haven’t seen a quoll in years! They were a bit of a menace when we were living at the top of Cape York in the late 1980s. No matter how securely we closed the kitchen they’d get in most nights and make a mess of the store cupboard. Pretty much every day started with the cry of “Quolls in the kitchen” but we loved ’em! Fed the frill-neck lizard every morning too. Ooh no! Quolls in the kitchen sounds less than ideal, Rosemary!! Though I guess you were all right as long as they didn’t bite you – at least they don’t seem as cantankerous and aggressive as their cousin, the Tasmanian Devil. Not sure I’d even heard of a frill neck lizard, but Googled – impressive! What do they eat? Well ours liked ham! He’d hang around on a tree trunk until we threw it to him! Oh how funny – Australian wildlife, eh. Always interesting!